An art student Benjamin Harff for his exam for the Academy of Arts, decided to illuminate J.R.R. 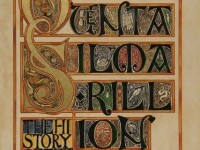 Tolkien’s “Silmarillion.” Illumination is an artistic processes of decorating text and sometimes adding small images around the text in a manuscript. 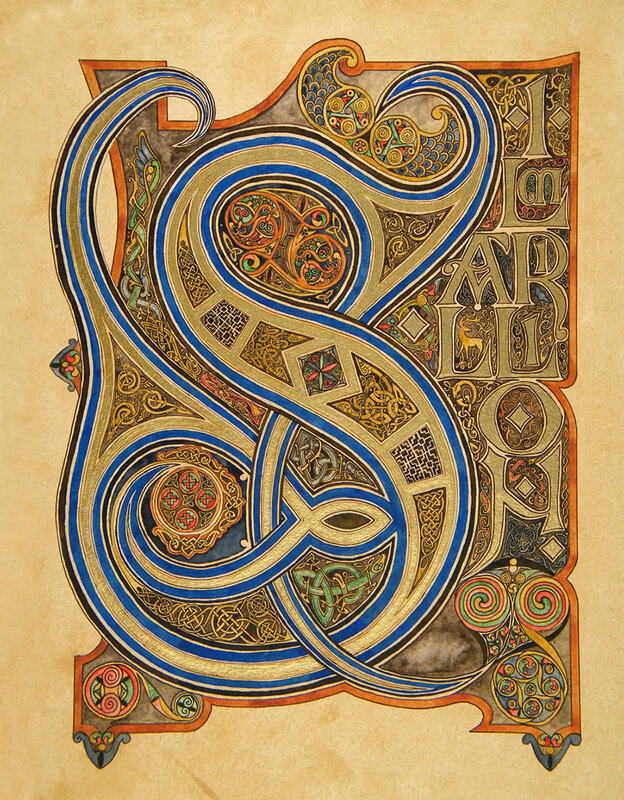 This illumination is typically done in bright colors, silver, and gold; giving the effect that the text gives off light. Often people have seen illumination in bibles created around the reconnoissance. These bibles have the calligraphy and illumination by hand. The project took about six months for Harff to complete. Initially he thought of doing the “Lord of the Rings”, but found with his recent exposure to the movies, his work would have been derivative. So instead he choose to work with “Silmarillion,” instead. Benjamin did not have the time to hand calligraphy the story, so he did resort to having a computer for the text. But all the illuminations hand done.